Reflexion FieldINSPECT is a ‘simple to use’ and ‘powerful’ Process & Quality Inspection Solution is specifically designed for Services & Manufacturing organizations and is an ideal application for managing the overall Inspection and Audit Processes without any loose ends in the overall process which in turn helps in serving their end customers better and meeting their business objectives. Reflexion FieldINSPECT is a track and trace location and web-based asset management solution. It facilitates multiple users, empowers business processes with auditing, controlling, planning, scheduling, and assigning audits. 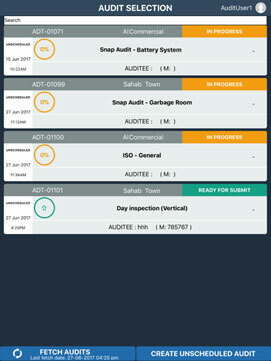 It deploys combination of Web Portals and Apple IPAD devices to predefine parameters while considering relevant locations, photo evidences, Risk matrix assessment, Non Compliance Reporting, Auditee sign off, Remedial Actions and a host of other factors. Designed with the end user in mind, character and feature-rich imaging, Reflexion FieldINSPECT collects and processes huge quantities of data to deliver faster, specific information and derive higher productivity. 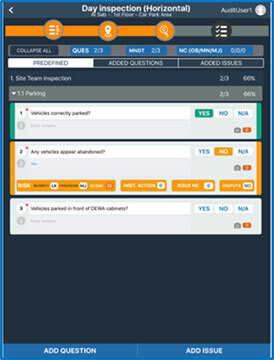 KPI on inspection performance by type, staff, location, etc..
Add attachments / Images and other data. Define frequencies to automate the generation of control assessments. Lattice Computer Consultancy was originally established in 1994 in Dubai, U.A.E. and later moved into Dubai Internet City in 2003 and incorporated as Lattice Computer Consultancy FZ LLC Company.